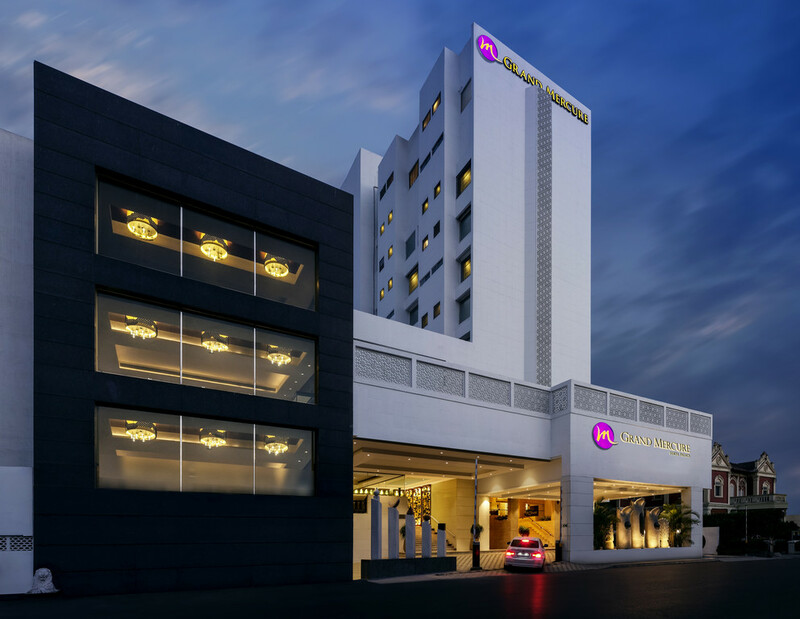 The iconic Surya Palace hotel is now a Grand Mercure, an ideal choice for travelers seeking upscale accommodation for business and leisure alike. The hotel is a mere 2-min drive from the railway station and 10-min drive from the airport. Popular city attractions like MS University, Sayaji Garden, Baroda Museum and Laxmi Vilas Palace are a 5-min drive away, the UNESCO World Heritage site of Champaner-Pavagarh is a 50-min drive away and the Statue of Unity is a 90-min drive from the hotel. Exclusive on-property Wine Shop with "on-arrival permit"
Urbanely designed and featuring a host of 5-star amenities, the non-smoking hotel features 146 rooms and suites. Free WIFI, access to fitness and wellness center are sure to create a great stay experience. Azure is the trendiest all day dining restaurant which is a popular destination for food lovers. Guests can choose between Buffet and A 'La Carte dishes from international and Indian cuisines. Azure is preferred for its authenticity and versatility. The outlet serves gourmet breads, pastries and cakes as well as confectioneries. With wide options of cakes and customized designs crafted by our experienced team, Vanilla certainly entices one for the special treat.